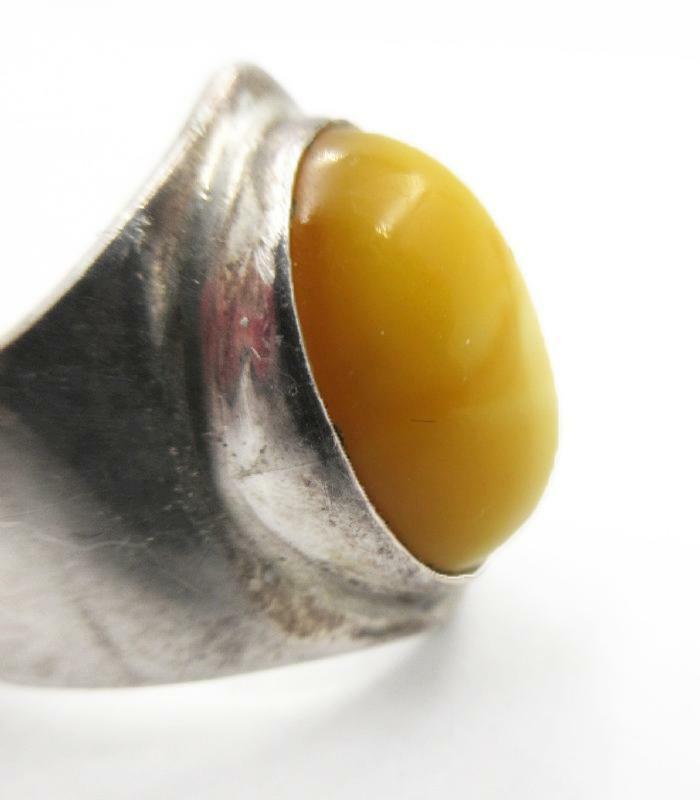 Egg Yoke Yellow Amber Cabochon Ring, The amber has a very slight marbling from darker to lighter yellow. And the amber is a lighter yellow then pictured. 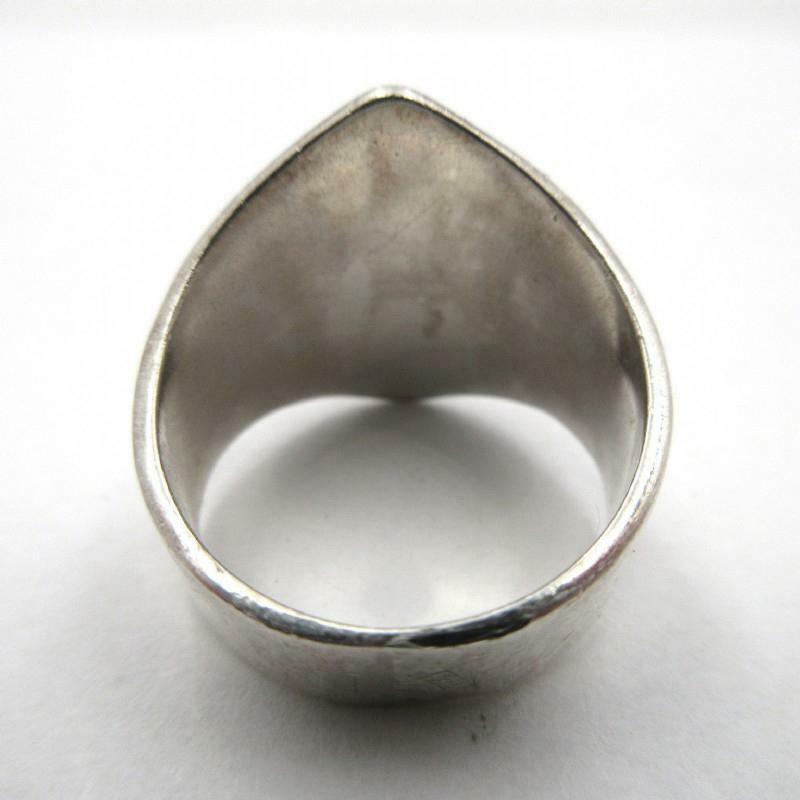 The ring is vintage but in very good condition. It is marked 925 on the outside of the band. 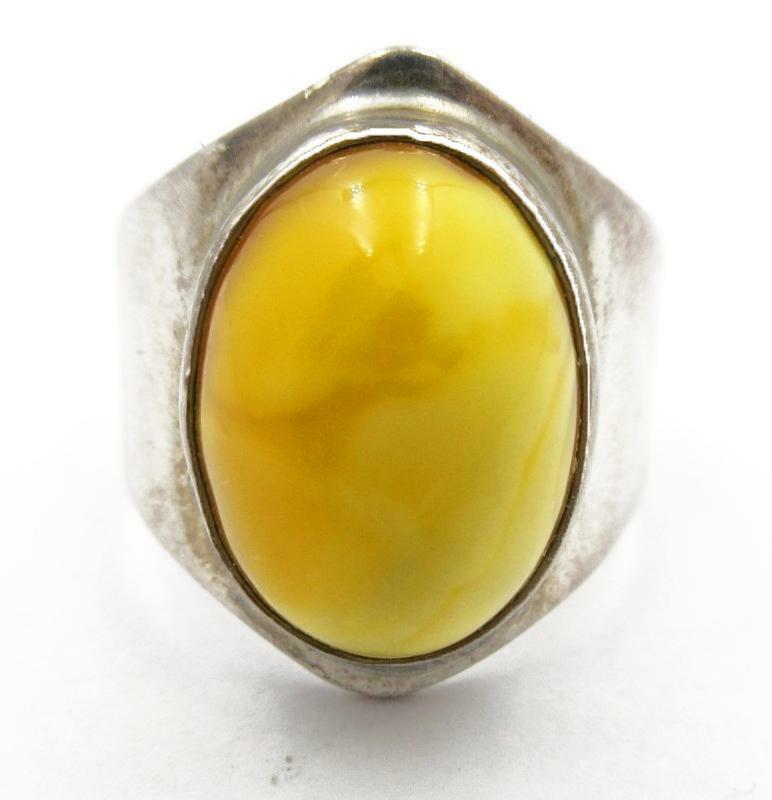 Items Similar To "Egg Yoke Yellow Amber Cabochon Ring Sterling Silver"